Mrs. Marion L. Freeman, age 94, of Rome, GA, passed away on Friday, November 16, 2018, in a local hospital. 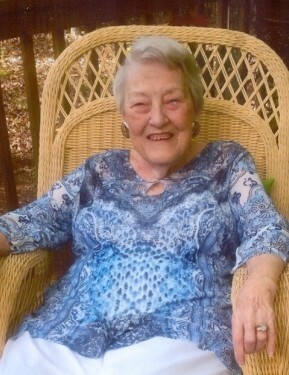 A native of Rome and Floyd County, Mrs. Freeman was born on April 7, 1924, daughter of the late Howard Irving Thrash and Minnie Viola Rowe Thrash. She was a housewife and homemaker and was of the Baptist faith. Mrs. Freeman enjoyed baking and cooking and was an accomplished seamstress, specializing in making hand-stitched quilts. In addition to her parents, she was preceded in death on April 5, 2005, by her husband, Henry Douglas Freeman, whom she married on December 24, 1950. A son, Christopher Freeman, two brothers, Irving Thrash and T.A. Thrash, and two sisters, Frances Stegall and Elizabeth Amos, also preceded her in death. Mrs. Freeman is survived by several nieces and nephews, great-nieces and great-nephews and a host of great-great nieces and great-great-nephews. Graveside and interment services for Mrs. Freeman will be held on Monday afternoon, November 19, 2018, at 1:00 p.m. at Oaknoll Memorial Gardens with Rev. Max Tucker officiating. Mrs. Freeman will remain at Salmon Funeral Home where the family will receive friends on Monday from 11:00 a.m. until 12:30 p.m. In lieu of flowers, the family requests memorial donations be made to Dr. Gerald McCormick Oncology Unit at Redmond Regional Medical Center. The staff of Salmon Funeral Home is honored to serve the family of Mrs. Marion L. Freeman.